Víkingablóð Rauðr | Sönnungr Viking Co.
Handcrafted with 100% natural, hand harvested, traditional Nordic plants and ingredients from Iceland, Norway, Newfoundland and Labrador. Shipped to you anywhere in the world. BLOOD COLOR. BADASS. GREAT TASTE. GOOD FOR YOU. Rauðr means "very red" in norroœnt (Old Norse). Very red, this tea certainly is. Blood red to be exact. And there is certainly something cool about drinking a beverage that looks like the blood of your enemies. Besides looking badass, this tea also tastes great. The base is bilberry berries, complemented with bilberry leaves, birch leaves and bark, Labrador tea, Icelandic moss, and with a hint of juniper berries. 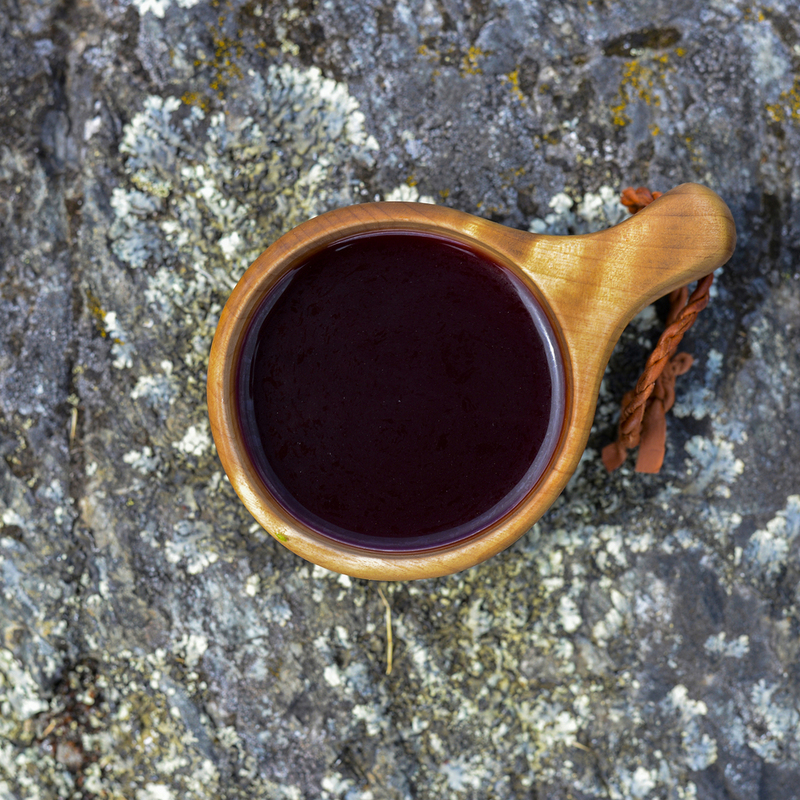 Rauðr is also good for you*... Bilberry is great to improve circulation, to lower your blood sugar, and to improve vision, particularly at night! Birch leaves are good against kidney stones and to prevent urinary track infections, while the bark can minimize joint pain (inherent to raiding activities). Labrador tea helps prevent colds and respiratory problems. It may even be good for diabetes! Icelandic moss helps digestion. Finally, juniper is good for heartburns (after you had a feast). *Not recommended for pregnant or lactating women, or people with oedema, diabetes, or kidney conditions. Incompatible with blood thinning medications. Use in moderation.